I did it again. I unfollowed a Facebook friend. I didn’t want to do it – I enjoyed seeing pictures of his growing family, and he was occasionally witty – but I grew tired of the bitterness and hostility of his posts. It’s ironic, because it was this kind of behavior that led to me to be banished by some of my own Facebook friends a few years ago. It was in the depths of the 2009 economic downturn, and my business was struggling. Meanwhile, political leaders seemed to do everything possible to weaken the economy and the country I love. Social media made it easy to lash out. It’s easy to find pictures, articles and video to give voice to your hostility. It’s much harder to think of how others might perceive them. It’s easy to involve yourself in fights with strangers who are hundreds of miles from your keyboard. 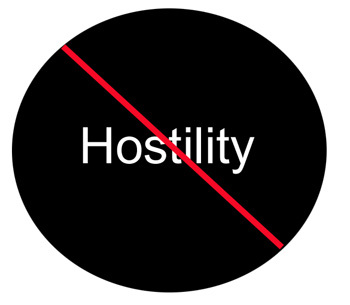 It’s much more difficult not to add to the hostility. I did the easy thing almost every day. If I saw a picture that was critical of the other side, I reposted it. When a political commentator wrote what I was thinking, I posted it, often with my own snide comments. When someone posted an opposing view, I challenged them. I made social media my battleground in a war to win minds. Sure, some of my friends applauded my efforts, but they already saw things the same way I do. I wasn’t changing their thinking. I was fueling a wildfire. Likewise, those who I offended with my posts didn’t change their thinking. If anything, bitterness from the other side only strengthened their beliefs. I really wasn’t accomplishing anything but anger, and I got myself unfriended by a few who grew weary of my crusade. I hate that I no longer see updates from the people who unfriended me. Social media is a fickle place, and it should never replace live human interaction, but it has brought me back in touch with several people. We might not ever talk or see each other again, but that doesn’t mean that we don’t care about each other’s lives. Social media allows us to stay in touch without really being in touch. Because I value my friends, I won’t unfriend someone because of their political beliefs. I don’t care if you think our current president is a messiah or that conservative is another name for redneck. You might think that guns are to blame for crime and that trophy hunters are scum. It doesn’t matter to me. If you’re my friend, you’re my friend. Initially, I was offended when others didn’t feel that way and unfriended me. How could someone be so petty to snub a friend over political views, I thought. Then, I backed off and observed the noise that continued. Some of it I agreed with, and some of it, I didn’t. If I agreed with it, the post usually incited me to anger, and if I didn’t, it still incited me to anger. I don’t want to be angry on social media or anywhere else for that matter, and I sure don’t want to spread that anger. That’s why I unfollowed my friend’s posts. It’s not that I don’t respect him or his opinion. I just don’t want to be angry. Note: You can unfollow someone and still remain Facebook friends. When you do this, you can still visit their page and see their posts, but their updates won’t appear in your newsfeed. It’s like not giving your obnoxious cousin your home address. If you don’t know how, it’s worth figuring out.